Here at Sunrise Image we have unique, modern and vintage ways to organize your jewelry. Whether our jewelry organizers are for you or a gift for your friend, it will be hard to choose the one you want and you will probably walk away with more than one! 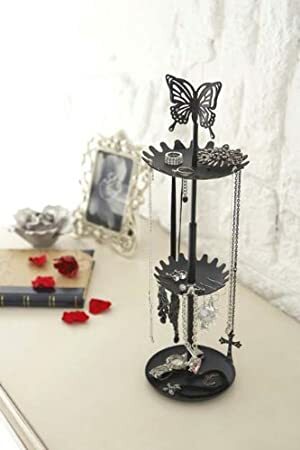 Our jewelry organizers come in a variety of artwork styles from classy metal trees, butterflies, art deco, and short dress organizers for your jewelry, just to name a few. They are adorned with beads or come in antique silver and gold, white, black and aluminum. Our Wall Mesh Earring jewelry organizers are great space savers and are one of our best sellers. 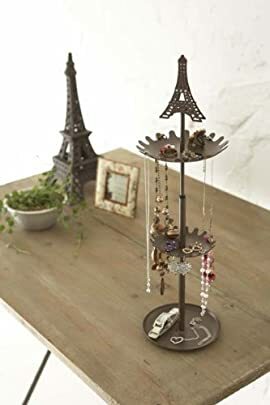 Our Eiffel-Hanger jewelry organizer accessory tray is another best seller that would be a stunning addition to your jewelry organizer collection. From classic to chic or modern to antique, you will find the perfect organizer for your jewelry here at Sunrise Image. Our Wall Mounted Chandelier pierced earring holders will definitely dress up the wall around your vanity, and our aluminum hand ring display will provide your room with an art deco look. Consider the decor of your bedroom or where your jewelry organizer will be placed. Organizers for jewelry come in many different styles. Vintage, modern, and Victorian styles are just a few of the possibilities. Organizers often are made of metal, ceramic, glass, or wood. Classic examples of jewelry organizers include a metal tree-shaped organizer or a set of small, round trays on a tower stand. A chandelier tree stand looks like a mock chandelier. These organizers add an interesting touch to the decor. 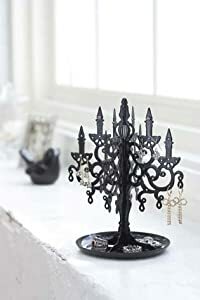 A chandelier organizer with a black finish is a stylish way to organize your jewelry, especially suited for a popular modern black-and-white decor. 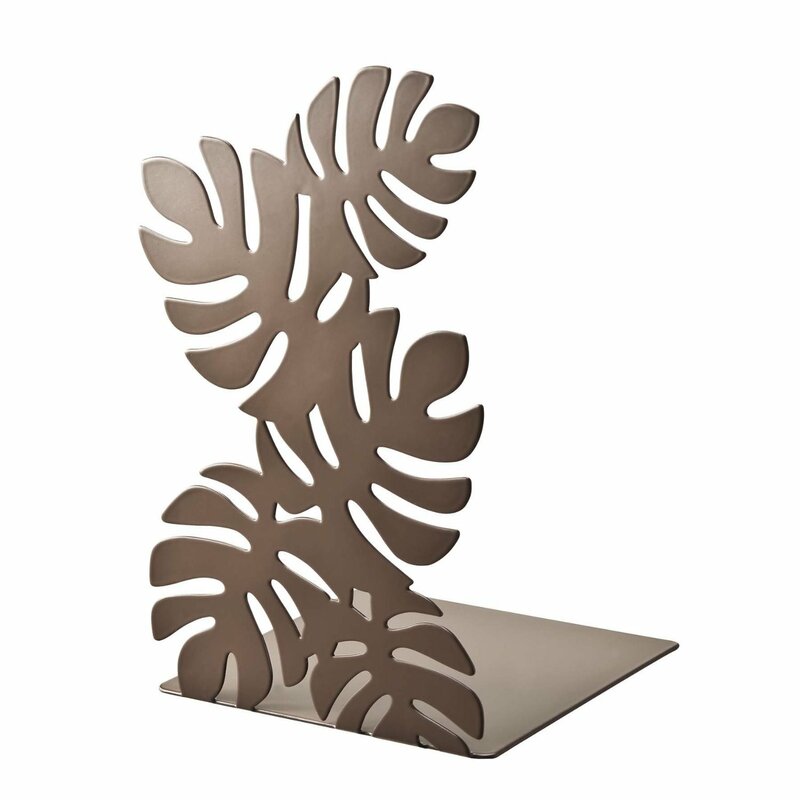 Other metal finishes are available which can fit a wide variety of decor styles. The harp necklace stands look like a rudimentary harp. A bar across the top that connects to each side of the harp shape holds the necklaces. This type of jewelry organizer is great for necklaces and bracelets that open with a clasp. Pieces that do not open would not be able to hang properly on a harp necklace stand. Necklace stands that include a bar with an open end can hold necklaces and bracelets that do not open. Several types of these stands with bars are sold. 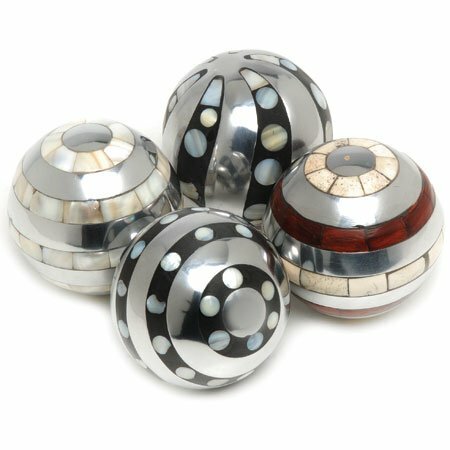 They often are made of metal and vary in style and finish. Some have decorative touches like a butterfly ornament at the top of the organizer. Some of these organizers for jewelry have a tray at the bottom to hold other types of jewelry. Tower stands are ideal for people who have many different kinds of jewelry. The tower stands have two or three round trays held with a center post. These are ideal for holding several small pieces of jewelry like rings and earrings. The disadvantage of this type is that the small pieces are laying flat in trays which can make it more difficult to find a particular piece. Some of these tower organizers have ridges around the edges of the trays to hold necklaces and bracelets making them versatile organizers. With all these options available, you can choose the best design to hold your jewelry and complement your decor when you buy jewelry organizers. Here at Sunrise Image Our Home Décor Accessories range from modern, vintage and old world to neon stands. Our Standing Parrot with Martini Glass is 15” high and is illuminated with blue neon lights. Pair this with our 15” standing Palm Tree Neon Light and you have created your own tropical paradise! If you are looking for new ideas to redecorate with home décor accessories we are positive you will find them at Sunrise Image. If you like old world décor then you’ll love our Spiral Ornament Display Stand, and for the special man of the house our Old World Brass Antique Sundial Compass would make a unique gift for his office at work or home. Like the modern look? 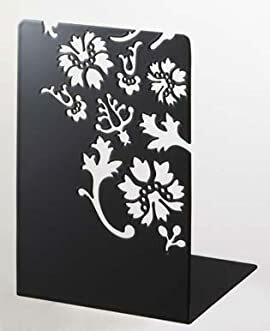 Look at our pair of either black metal or white metal bookends adorned with flower cutouts. Pair these bookends with our modern black metal clock with the same flower cutouts to finish off the look on your credenza or book nook. We even have home décor accessories for your children. The classic and fascinating Live Ant Farm is not only educational but it is fun to watch how the ants make their tunnels and dens. Even as an adult it will bring back memories of your childhood and can be relaxing just to watch nature in a safe enclosed environment. Our Home décor accessories will adorn your walls, floors and end tables. 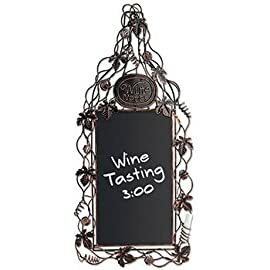 From 2-tier rattan and metal basket display stands to metal 4 tier plate display stand and even an Italian Modern Grapevine Wine Bottle Chalkboard for your kitchen wall, there isn’t anything you won’t find here at Sunrise Image. Whenever I think about the things that my mother has done for me I feel myself tearing up a little bit. I try not to let it get the best of me but I am so thankful for everything that she sacrificed in her life to improve her children's future. Remembering the things that your mother has done for you is what Mother's Day is all about. The sacrifices that my mother made were astounding. She was a single mother that fought every single day for a better life for her children. I can still remember my mother's face after a long day of working at a local home decor store. She looked completely exhausted but she always put on a smile for her kids. She often worked late into the evening so my brother and I would have to go to our grandmother's home to spend the night. Even after that long day of work, our mother still came to pick us up at night ready to make our lives better. I didn't always understand it at the time, I saw my mother as strict, but today I can see how much she cared. Every single day, no matter how long the work day, my mother would help me with my homework and other school projects. Now, being a parent myself, I understand how challenging it can be to spend all day at work and then come right home to support the children. She didn't even have a spouse to help her with it. I am so thankful for having her in my life. All mothers make sacrifices to raise their children. I'm sure you can remember some of the times that your mother has went out of her way to make sure that you're alright. Not all of us are blessed with a mother, I'll go over the details in a bit, so this Mother's Day is the day that you should provide your mother with a gift that shows how much you love and appreciate what she has done for you. The memories are one of the most valuable things that any mother has. One of the best ways to store these memories is with the right camera and photo accessories. Whether your mother likes to take pictures or just store them, there are hundreds of options that can make any mother happy. For any mother that has already been bitten by the photography bug, the right camera accessories can make every photo come out magical. For the mothers that have massive collections of photos, providing the right scrapbooking and photo album options can help them save and store the memories for life. If your mother only has a few pictures, one of the best things that you can get for her is a beautiful photo frame to store one of them in. Sometimes the memories can be quite hard to hold on to but the right frame can make sure the valuable photographs that your mother loves get to be with her for life. View camera accessories. There are hundreds of unique gifts that you can find at Sunrise Image. We do our best to provide a wide variety of kitchen accessories, home accessories, camera accessories, and just about everything else that you can think of to provide the perfect gift for any occasion. We're confident that you can find a gift that will make your mother feel how much you love her in the first moment that she opens it. You’ll get the chance to see the joy in your mother's eyes as she sees it. You need to take these opportunities to show your mother how much you love her. Mother's Day is a day about sharing those emotions. Find a gift that can help you tell her how much you appreciate everything that she's done for you. Not everyone is lucky enough to be able to tell their mother how thankful they are at this Mother's Day. No matter what you do, whether you find your gift at Sunrise Image or anywhere else, tell your mother how thankful you are. Take every opportunity that you have to tell your mother how much you love her and find the perfect gift for her every Mother's Day. These are memories that you'll both cherish for life. The look of your home and kitchen is a reflection of who you are. That makes home and kitchen accessories the ideal choice for anyone looking to select a great gift for someone they care about. It's a way of saying you know and appreciate the person that they are. Here at Sunrise Image, we want to make sure that you have the perfect gift for anyone on your list. 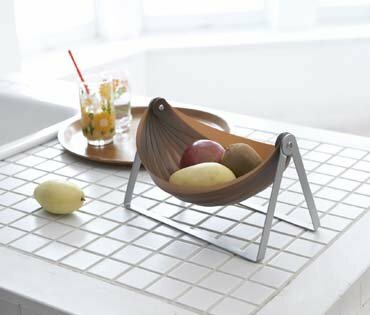 We provide a large variety of kitchen accessories for anyone that appreciates their time being spent in the kitchen. We also provide home accessories that can make any decor look more exciting and appealing to everyone that enters. View home and kitchen accessories. One of the things that people notice at any dinner party is the dinnerware being used. The right set of dinnerware can be more than just practical. It can also be attractive. Lined up next to the right glassware and drinkware, it can really change the atmosphere. No kitchen is complete without the right wall decor. We can also help you find those perfect wall decor pieces for anywhere in your house. For those looking to show off some of their favorite collectible plates, plate stands would be the perfect gift. If there's one thing that plate collectors love, it's the opportunity to display their collection. With all the beautiful kitchen accessories available at Sunrise Image, it's easy to get lost in the beauty that will catch the attention and provoke conversations in your home. For those looking to boost that conversation a little bit more and you should look into the Molecule-R kits for your parties. With the Molecule-R Cocktail kit you'll be able to mix your own drinks in a completely new way. Impressed guests guaranteed! We have a large variety of home accessories that can make any room more attractive. Every home could use a few decorative accessories to capture the eyes attention. These can be anything from easel stands to attractive clocks. There are also practical home accessories that can be used for decoration and everyday use. Coat racks and purse trees can be useful for any home. Candles are also a great way to improve the atmosphere of any room. 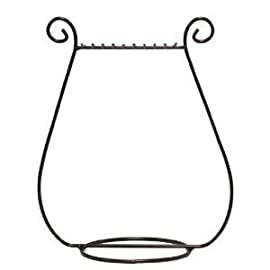 If you love candles then be sure to display them with one of our attractive candle holders. If you have a collection of jewelry that that you love to show off then you might want to consider one of our jewelry organizers. We also provide options for those of you that love showing off your clothing and accessories. C heck out our collection of body dress forms. They can be a unique and attractive way to display your favorite pieces. A home and kitchen accessory is a great gift for everybody. Everyone wants their home to be appealing and represent who they are. Every time that they see your contribution to their home, they will remember how much you care. Here at Sunrise Image, we care about you getting the best possible gifts for the people you love. That's why we provide a large selection of kitchen accessories and home accessories that anyone would love. Take a few minutes to find the perfect piece for you or your loved ones. You might just find that the hardest part is picking only one perfect piece but don't worry, you can get as many as you like. View home and kitchen accessories. Toys and games is what makes life so much fun. 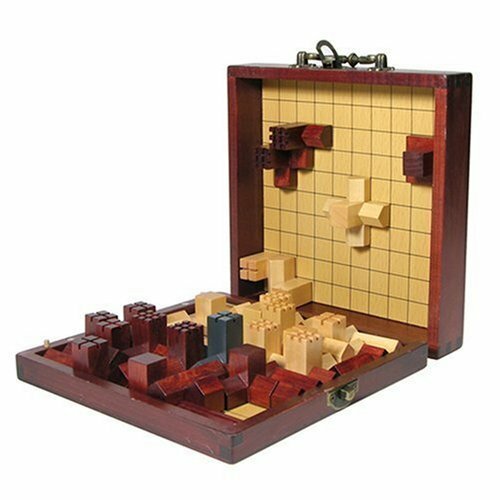 Whether it is board games, tabletop games, puzzles, brain teasers, casino accessories, casino games, construction set toys, toys for boys or toys for girls, all of them are here in plenty. Enjoy your time with either a toy for yourself, teasing your brain with new riddles and challenges with our brain teasers and puzzles, or buy a toy for your children. Imagine all the fun and the good times you can have as you buy a brand new plush dog for your son, or teach them the wonders of science with our beautifully carved wooden 3d brain teasers. The amount of entertainment you can have is endless. View toys and games. We have many different categories for you to choose from as mentioned above. Each category can be used for a different type of play. For example, board games make for a great way to spend a family night. A board game is a classic way to promote social interaction in the group. For younger children, you may want to consider entertaining them with something like L'll Kitty the Playful Kitten, a battery operated stuffed animal that is sure to wow your children as it comes seemingly to life. 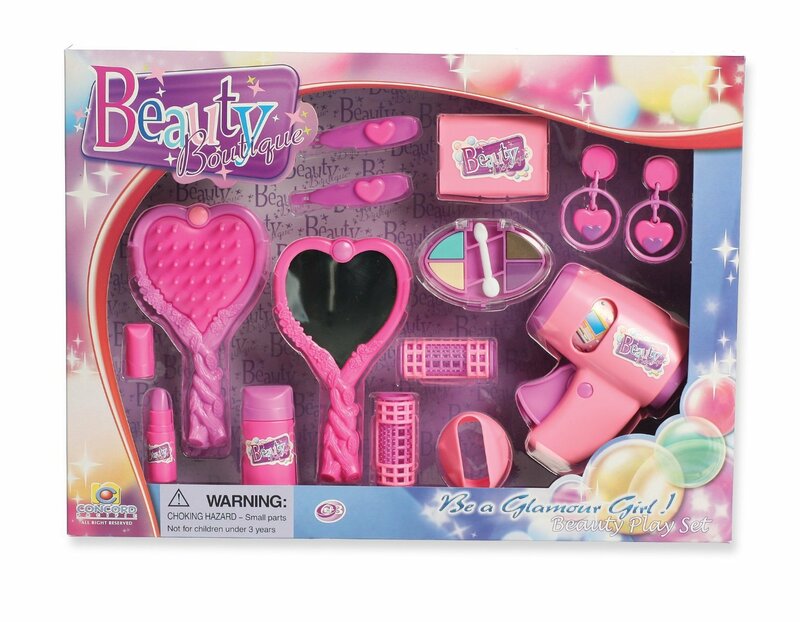 For a girl, you can get the Beauty Boutique 15 Piece Beauty Play Set. Watch her playing make believe and pretending to have opened up a beauty salon of her own? These kinds of games are good for children because it inspires creativity, and prepares them for the real world. Play time is an important aspect in our lives. Such a time should flourish with such board games, brain teasers, tabletop games, puzzles and other toys for boys and toys for girls. Imagine what your son can create using the construction set toys. What buildings will he be the proud foreman of? Or, your children can pretend to run their own casino using our casino accessories and casino toys we have. Of course, you might be interested in our casino toys too for a good night of adult play while the children whisk their hours away together playing board games like checkers, or chess (chess is a fantastic game for stimulating intellectual growth in children due to the immense amount of strategy involved). Speaking of stimulating growth, brain teasers tap into a much needed portion of the brain: critical thinking. Critical thinking is a mixture of analytical skills and creative problem solving. People who can master this concept of critical thinking end up being far more successful in life than most individuals who never master it. That is why we sell these brain teasers and puzzles! 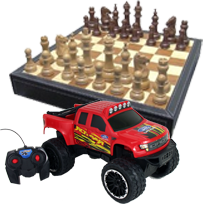 Brainer teasers like our hand crafted chess piece 3D jigsaw puzzle, or our classic 3D chain cube, both liable to keep your children entertained. You will be surprised to find yourself absorbed in figuring out a puzzle you got for your kids. Regardless of what you are looking for, our toys section has it all. Browse around and find exactly what you want, either for yourself, your son, or your daughter. Or... for all of you! View toys and games. Camera accessories are the kind of gift that shows you care enough to pick something personal. Photo accessories can help anyone share the memories that they love. Sunrise Image understands that the gifts you give should prompt a lifetime of memories. There is no better way to do that than with the right camera and photo accessories. You can find a variety of camera accessories and other camera parts in our selection to help you get the perfect piece to help capture memories for life. You'll be able save and protect these memories with the right photo frames, photo albums, and scrapbooking accessories. After seeing the full collection, you can be confident that you're going to get the perfect gift for your loved one. View photo albums and scrapbooks. There is no better way to improve your camera than with the right camera accessories. No camera can do everything that you want out of the box. The art of photography is not just about selecting the right camera. A photographer needs to consider photography accessories like flashes, lenses, and lens filters but they also need to consider the more comfort and mechanical type accessories like straps, and tripods. Getting the right amount of light is absolutely essential to the perfect picture. You also need to make sure that you're feeling comfortable enough to take that picture. There are so many other camera parts that should be considered for any camera enthusiast. That's why our collection includes everything that a photographer needs to make the most out of their camera. 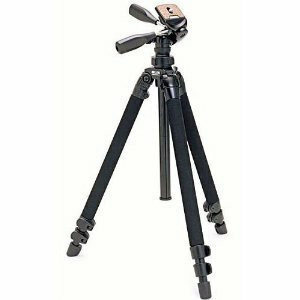 While camera accessories may be most useful for photographers, photo accessories are loved by everyone. The most important thing that we have are our memories and there is no greater way to maintain them than by protecting our photographs. Looking at the right photo in the right photo frame can make you feel your memories stronger than ever. Photo albums are the perfect way to protect all of your favorite photographs. With every year that passes the photo albums pictures will get more and more important to you. We even provide options for everyone that loves scrapbooking. Just imagine the feeling of looking through the scrapbook of your loved ones a few years from now and you'll understand why scrapbooking is so powerful. Camera accessories are the perfect gift for any photographer in your life. Gifts like lenses, filters, straps, and other camera parts show that you truly care about their photography. Photo accessories are the perfect gift for everyone, camera lovers and everyday picture takers alike. When a person has the right photo albums, photo frames, and scrapbooking pieces, they get to experience their most precious memories time and time again for the rest of their life. We at Sunrise Image understand that the most important things in life are the ones we love and the moments we share. That's why we carry a wide selection that can be admired by anyone on your list. In fact, we highly recommend that you put yourself on that list because the memories you have deserve to be shared and protected for a lifetime. View camera accessories. Wine Accessories are the perfect gift for any occasion. Here at Sunrise Image we provide the best choices for whatever your needs might be. We provide hand painted wine glasses that will be remembered for a lifetime. We also provide wine bottle candelabras that are a classy way to get guests’ attention. For the puzzle and wine lover on your list, a wine game can be a great choice if you want to present a bottle of wine and get a few laughs while figuring out the wine puzzle. That's not even all the wine accessories we have in our collection. No matter what the occasion, we have the perfect gift for any wine lover. There is no better gift that you can give your loved ones than the chance to have a good time. Giving the right wine glass for the occasion can really do the trick. 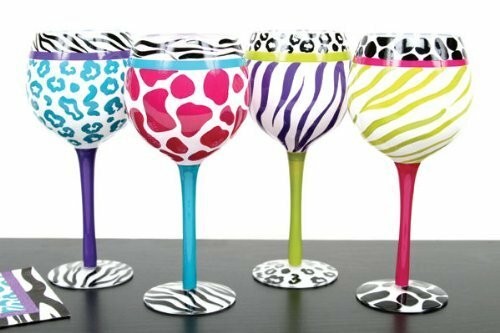 Everyone loves a hand painted wine glass to help celebrate a birthday, holiday, or all of your favorite occasions. If you're preparing for a big milestone birthday like a 50th or a 21st then you need to get one of these bright and memorable glasses. View painted wine glasses. A wine lover will definitely appreciate getting a wine bottle candelabra. 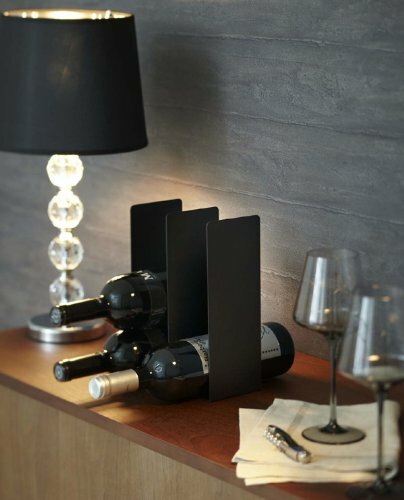 Almost every oenophile has a favorite wine bottle or two that now they can show off with that simple elegance. It's as simple as putting the base into a finished wine bottle that you love. A wine candelabra is the perfect gift that can be enjoyed all year long as a home décor element for special occasions or at a wine lovers favorite room. It is a truly unique gift that is sure to get everyone in the room talking about it. View wine candelabras. If you haven't checked out our wine games yet then you need to get started. A wine puzzle is a great gift for any wine and puzzle lover. It's also a great way to keep your friends from getting to your favorite bottle. Once the wine bottle is inside the puzzle, the bottle can't be removed without solving the puzzle first. These are a fun gift that can keep the whole party entertained. The best part is, after you solve the puzzle, you have the bottle to celebrate with. View wine puzzles. With the right wine accessories you can say exactly what you want with your gift (even if it is just a gift for yourself - you deserve it!). Get the right wine glasses for the occasion and you're sure to keep the party moving. 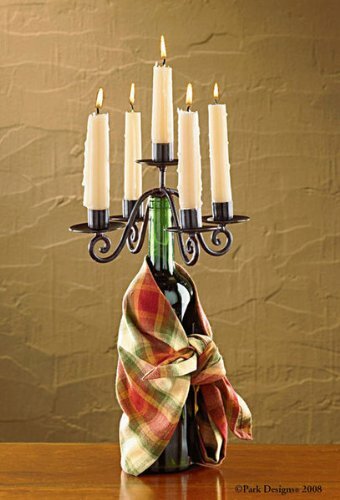 Get wine candelabra for all the wine lovers on your list. Wine puzzles are one of the surest ways that you can get everyone in the room working together to get to the bottle. That's not even all the wine accessories you can find here on Sunrise Image. Be sure to check out the whole collection. Not sure about which wine accessory to get? Get them all. 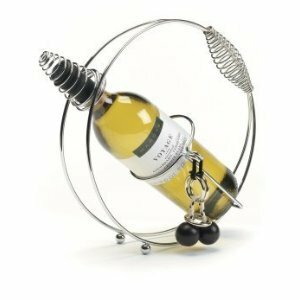 They're the perfect way to show the wine lover on your list that you care. For great and unique gifts that you can give to special someone, family member or a friend, there are many to choose from but a useful yet lovely office item worth giving are one of the leather journals. These leather journals are definitely unique gifts. There are different leather journals to choose from such as the high quality Italian leather or those that are made out of modest cowhide. A journal is a great way to keep track of ideas and thoughts. It serves as a good holder of important notes that can bring back memories. This is why it is one of the unique gifts that you should give. You have to take note that journal writing can help individuals reflect and even explore their thoughts. Words that cannot be expressed to others or even speak can be written in a journal. A lot of experts recommended that journal writing is one way in order to get in touch with your feelings while at the same time allowing self-expression to develop. 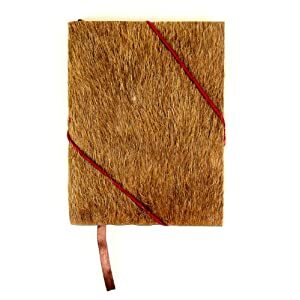 By writing in one of the leather journals, it can add importance to the writing process while at the same time ensure that all the notes are safe and protected for many years to come. Buying a leather journal as a gift is the best choice since they can be used to in various ways of recording important events or details. These leather journals are available in different designs, materials and sizes. Almost all stores can provide you with a wide selection of leather journals to choose from. There are smaller versions that can be used to record different details. In doing so, it serves as a lifetime keepsake that can be enjoyed for many years to come. Majority of leather journals available at the present tend to vary in quality, but most of them can be refilled. Always make sure that if you are going to buy one, the appropriate page size is available. This will ensure that the receiver of the leather journal can utilize it for many years to come and can be easily refilled in case the pages run out. Due to their functionality and quality, these leather journals are definitely unique gifts that are worth the cost. You are assured that the person receiving the gift will make the most out of your gift. 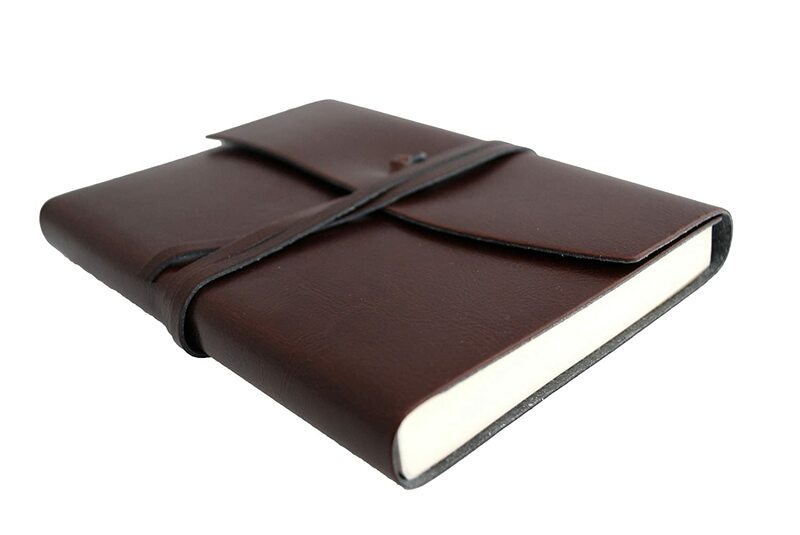 If you are stuck in a standstill on what gift to give, a leather journal is definitely a good option. If you need to find the perfect gift for Valentine’s Day, you may be a bit short on ideas for your partner. Getting something that is unique and will be special for Valentine’s Day is extremely important to making the right impression. There are hundreds of potential gifts that you can probably think of for that special someone on Valentine’s Day, as well as gifts for any occasion, the trouble is getting unique gifts for Valentine’s Day that will really impress the person you are with. Photo albums: sharing your favorite special memories with your partner on Valentine’s Day can be a lovely gesture. By purchasing a photo album and filling it with some of your favorite photos of you together, you can create a wonderful and unique keepsake that they can hold onto for years to come. View photo albums. 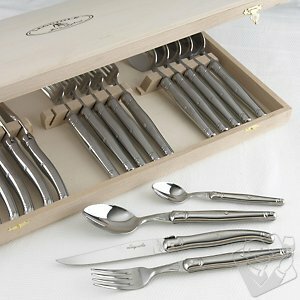 Home and kitchen gifts: if your partner is a avid chef or culinary expert you may want to look into getting them some home and kitchen gifts that are customized with their name on them or a special message. You may have an inside joke about cooking together, or you may simply want to get them something that they have always wanted for the home or for the kitchen that is completely unique. These home accessories can be fun and functional and will add to your Valentine’s day gift as well as provide your partner with something that they can use every single day in the home. View home and kitchen gifts. Jewelry organizers: rather than simply buy another piece of jewelry for Valentine’s Day, you may want to consider getting your partner a new jewelry organizer or jewelry holder to keep all of the existing jewelry that you have purchased in order. These accessories can be extremely unique when you buy them online and there are a variety of custom jewelry organizers that you will not find many stores. Not only will your partner be reminded of you each time that they were the jewelry, but every time that they reach for it as well. View jewelry organizers.